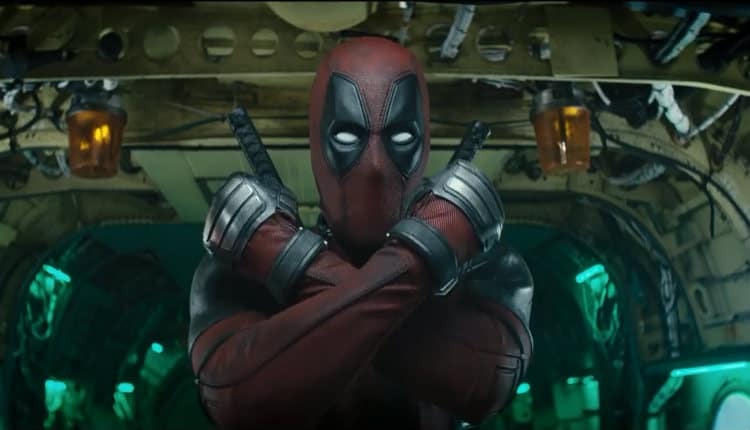 Deadpool 2 Trailer Introduces the X-Force | Nerd Much? With all of the promotional build up for Deadpool 2, Josh Brolin’s Cable has been a major focal point. But within today’s trailer, we have a new twist – he appears to be the film’s villain. The two minute spot begins quickly with the R-rated jokes and language, setting the tone we’ve all come to expect. Quickly after comes the trailer’s first fight with a decapitation to boot. Morena Baccarin’s Vanessa then gets a quick moment to shine. Proving that romance is not quite dead even in a world as crass as this. Then comes the big, Terminator-esque introduction of Cable. Sent from the future, Cable looks tasked with the assassination of a young, portly mutant. “I’m here for the kid”, he says. “Move or die”, he tells a confused Deadpool. Deadpool and “the kid” are both in yellow jumpsuits of some sort, so they may have both been abducted and introduced at some point earlier in the story. “I ain’t lettin’ Cable kill this kid”, Deadpool says. “But I can’t do this alone.” Thus, enter the X-Force. It’s been rumored that Deadpool 2 would be a setup for a possible X-Force movie. And that certainly looks to be the case from today’s trailer. The assembly of the superhero team dominates the second half of today’s trailer. Nagasonic Teenage Warhead, Colossus and Domino are all included. But so are the unknown characters of Terry Cruz, Shiori Kutsuna and Bill Skarsgård within the montage, insinuating they’re all playing mutants within the X-Force squad too. We’ll have to wait and see whether Cable is the true villain of Deadpool 2 throughout the entire film. But it’s likely another threat enters the mix which forces him to reluctantly join up with Deadpool and the X-Force. Cable is a primary member of the X-Force within the comics. So regardless of what happens for acts one and two, by the end of the movie he’ll likely be on the same side as the Merc with the Mouth. We’ll find out for sure when Deadpool 2 hits theaters May 18th.